To put it simply, a credit score is a numerical expression of your creditworthiness. The score is a result of your credit behaviour and a proof to the lenders how well you have managed your finance on your own. 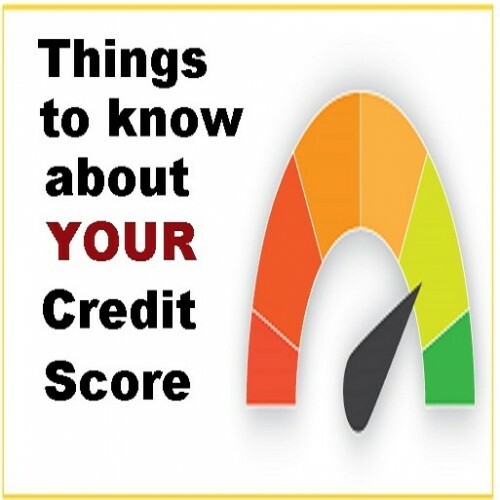 To dig deeper on how this mysterious number is arrived at, we must know that credit score is generated by credit bureaus who hold the record of your credit activities and calculate the score based on parameters that are widely accepted. After taking a loan or a credit card, you inevitably will form a financial relationship with your lender. Your credit activities with the bank is reported to the credit bureaus by your lender periodically. The bureaus who collect the data maintain a detailed report based on the information provided. This is called credit report. Your credit report will contain your personal information, contact details, history of borrowings, payments, type of accounts you maintain, defaults, settlements, negative accounts, closed accounts etc. A good credit score is a result of good credit behaviour and with that the lenders are assured of your trustworthiness and reliability. As a benefit, you can get the best loan offer with low interest rates and flexible repayment options. Even a small percentage of reduction on the loan is hugely helpful in the long run and considerably lower your outgo on EMIs. With a good credit score, you have the power to negotiate with the lender to get better terms. On contrary, with a low score, you are bound to accept the terms determined by the bank which could even become a financial burden when it comes to repaying the loan. Moreover, with the bad credit, the loan and credit card applications can even be rejected. As a score can only be a number, a credit score is a three-digit number that ranges between 300 to 900. On the other hand, a credit report is a detailed report that holds the information of your credit activities. Details such as credit card payments, loan accounts and its status are mentioned in a credit report. A credit score is calculated based on your financial activities and it is important to know what could harm your credit score if not managed efficiently. In a credit report, credit history is an important factor that has a significant weightage on your credit score. If you have a bad credit history, your score is likely to get affected. Both credit score and credit report are provided by four credit bureaus. In addition to that, there are financial services company like CreditMantri who provides credit score for free. Both credit score and credit report are co-related as the credit score is derived based on your credit report. It is simple that a good credit report yields good credit score.